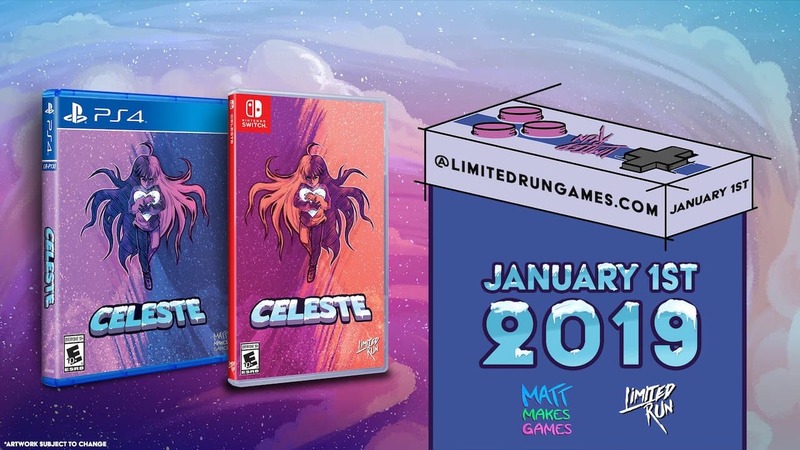 Limited Run Games made an appearance in the Kinda Funny Game Showcase, revealing that Celeste and Windjammers will soon receive physical releases. This week, Celeste won in the Best Independent Game and Games for Impact categories at The Game Awards 2018 and will be released on 1st January 2019. Celeste is a narrative-driven, single-player adventure that will challenge players to help Madeline survive her inner demons as she journeys to the top of Celeste Mountain. She can climb any surface as long as she has enough stamina, and when playing in Assist Mode players can freely tweak the difficulty – whether that be at a slower pace or to full-on invincibility. Whereas DotEmu’s disc-flinging Windjammers will release on 21st December 2018, a fast-paced, head-to-head arcade game where two players are challenged to throw discs at their opponent’s goal zone to score points. Celeste and Windjammers are now available on the Nintendo eShop for Nintendo Switch worldwide.